Dr. Zan Yi is a senior Oncologist at the Burzynski Clinic. 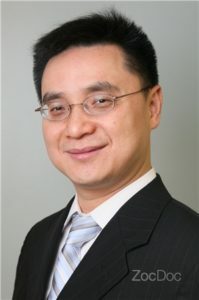 He received his medical training in China and then continued his studies in the U.S. where he obtained a PhD in Molecular Genetics at the University of Arizona and then completed both an Internal Medicine residency in the Bridgeport Hospital Yale University Program and sub-specialty training in Hematology-Oncology at the New York University (NYU) Medical Center. Dr. Yi supervises patient care at the Burzynski Clinic in compliance with NCCN (National Comprehensive Cancer Network) guidelines. He has a particular interest in applying molecular genetics to the diagnosis and treatment of cancer patients and is author/co-author of several published articles in the field of molecular genetics. Dr. Burzynski majored in Neurobiology during his undergraduate studies at U.T. Austin, received an MD degree from the Jagiellonian University Medical College in Krakow, Poland, and completed an Internal Medicine Residency at the Seton Family of Hospitals in Austin, TX, which is associated with the Dell Medical School at U.T. Austin. 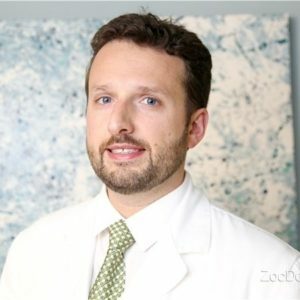 Dr. Burzynski maintains his American Board certification in Internal Medicine and is a member of several Societies, including the Society of Neuro-oncology. Dr. Burzynski’s primary clinical interest is the optimization of personalized medicine at the Burzynski Clinic. Dr. Miranda is Board Certified in Internal Medicine, with 15 years in the specialty. He is experienced in hospice care. In the Burzynski Clinic, he coordinates specific cancer treatments with the medical team and with other specialists like oncologists, urologists, infectious diseases, surgeons, and primary care providers. He coordinates the treatment and in-office procedures with the nurses, as well as supervises the documentation. 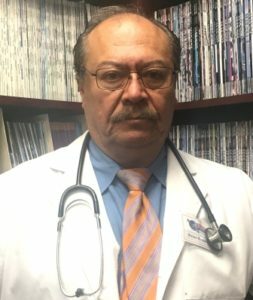 Dr. Miranda is a highly compassionate physician, who provides good communication and medical education and is fluent in Spanish and English. In his private life, he enjoys artistic photography, paints, creates with clay, and participates in art, theater, opera, and cinema activities. He admires folkloric music from all over the world. He is a natural gardener, a handy man, and above everything, an excellent friend.